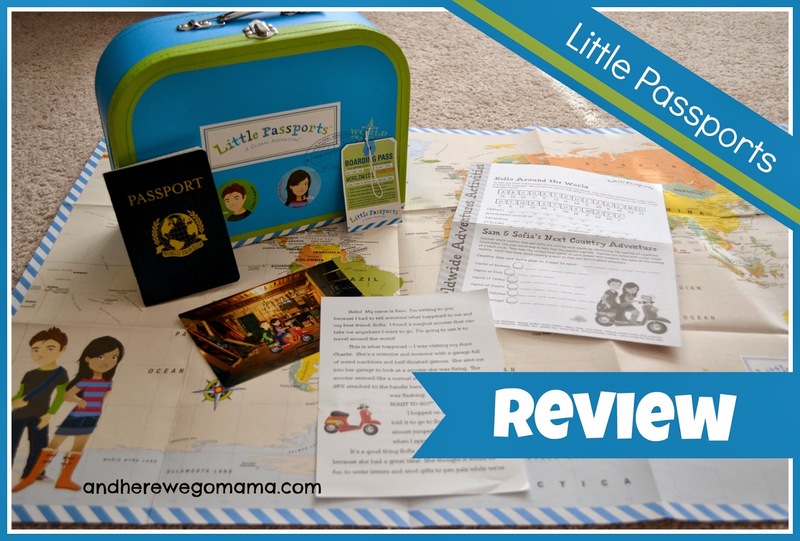 One of Mary's Christmas presents was a monthly subscription to Little Passports! Please click the picture above to go to that page on the Little Passports website. 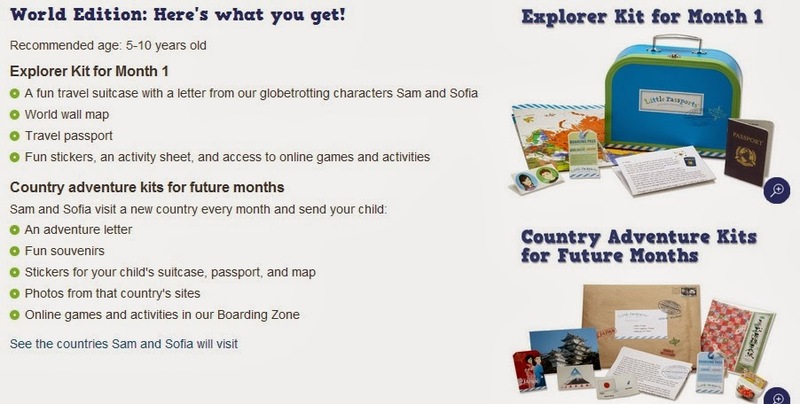 Mary's Explorer Kit came with a cute suitcase, world map, passport, picture of Sophia and Sam (the travelers/mascots), stickers, an activity page, a letter, and a code to access fun educational activities on the computer. Each month we'll get a new picture of the travelers in that month's special country, a letter, stickers, and souvenirs from that country. Doesn't that sound awesome?! Mary loves getting mail, so she can't wait! Well, I'm excited about Little Passports, too! I think the monthly package in the mail will help us stay pumped up about Geography. I'm also thinking that we might use the new location each month as a Country of the Month sort of thing, and maybe we'll even end the month with a special dinner of that country's food. Just some things I'm thinking of right now. . . So, I'll keep you posted about how we're using it and how we like it as the months go by. Right now, I'm very excited to find out where Sam and Sophia will be next! Interested in spicing up your Geography studies? Click here to find out how Little Passports works! Oh, and since it's close to Valentine's Day, Little Passports has some free printable cards! Click here to check them out; one has TONS of ways to say I love you in different languages! So neat! This post contains affiliate links. If you purchase a subscription through my blog I will receive a small payment. Thank you for your support! I was given the first month free in exchange for my honest review. Here it is in a nutshell: We're enjoying it so far, and Mary and I are excited about next month's package!